Attached is a copy of the UKA Euro Trial/Home International results where soon to be Eryri Harrier Nathan Jones won the junior trial to earn himself another GB vest. 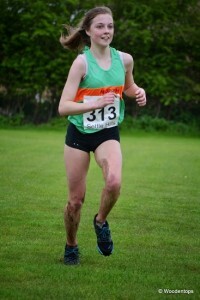 A former Eryri member Lydia Sharpe finished 4th in the junior women’s race to also earn herself a GB place. Rob and Siobhan were the 1st Welsh finishers amongst the elite athletes competing, as Wales men and women’s teams both won bronze medals. Daniel Kashi finished 31st in the emf Edinburgh Marathon yesterday in a time of 2:49:32, he reached half way in a time of 1:19:39 and 30k in 1:54:28. The last10k were tough for him!! This Wednesday is the North Wales 5km Championships at the Rhyl Sun Centre starting at 7:15pm. Entries will be taken on the day. 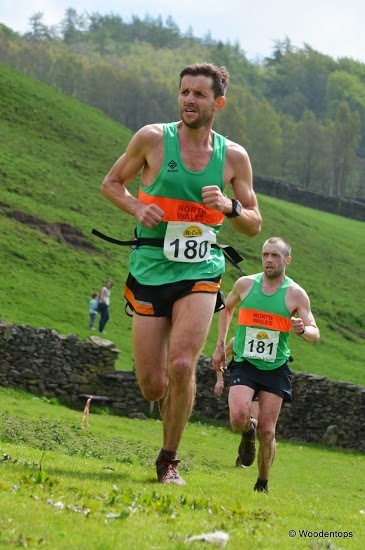 Yesterday over in the high peak, the Buxton Half Marathon took place, with two Eryri representatives running on unfamiliar terrain. 231 eager runners lined up on a glorious sunny day. The race has a tag line on its souvenir tshirt, “its a killer”! The race has a total ascent of over 1500ft of climbing with fast descents and twisty single track roads, with a profile similar to that of my much preferred terrain (mud and mountains). Joanne and I had a good run out in our road shoes, me finishing in 7th overall and 2ndv40 in 1.23.19 (the winning time was set by Dale Annable of Heanor AC 1.16.58); with Joanne enjoying the run but just outside the prizes by finishing 62nd overall 6th female and 2ndv40 in 1.41.57. A highly recommended day out in the Peak District on a Bank Holiday weekend. Click below for the current standings in the Eryri Mountain Championships after three races, Tarren Hendre, Moel Tryfan and Foel Lus. I ddathlu Carnifal Pentref Rhosgadfan, cyfle i ail-ymweld a phentref uchaf Cymru i gystadlu yn Ras Y Foel. Eleni – trac hollol newydd q chyffroes yn cyrraedd copaon Mynydd Cilgwyn a Moel Tryfan. Yn cynnwys rasus plant. To celebrate Rhosgadfan Village Carnival, a chance to re-visit the highest village in Wales and the capital of Welsh fell running (!) 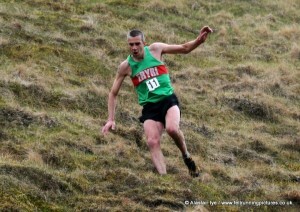 and to compete in Ras y Foel. A brand new and exciting route, taking in the summits of Mynydd Cilgwyn and Moel Tryfan. Including junior races. Another record turnout and dry conditions saw four new records at the Great Orme last night. 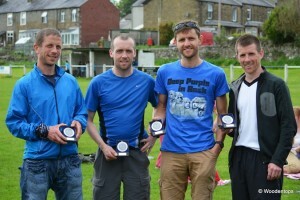 Despite contractions and false alarms for Louise, Craig still managed to get the course marked and the marshals in place so that Math Roberts, feeling no effects from his Sunday Inter-county team success, could win in a record time of 31.27 ahead of Gwyn O and John R while John Parkinson broke another V40 record in 4th with 32.57. Jake continues to improve, 6th overall and first U18, Aber’s Tim Cahill 1st V50 in 15th, John Morris 1st V60 72nd while Emyr became the 1st V70 on the course in 68th. In the ladies Jackie Lee, Manx based Welsh International currently in Wales keeping an eye on her favourite builder, smashed Laura Bestow’s record winning in 36.10 finshing in 19th. Second lady from Bangor University was Becki T in 52nd & Cybi’s Tracey in 57th. Competing in her first race of the series Colwyn Bay’s Helen MaCarther took the F40 in 58th while Ellie Salisbury took the F50 in79th. In the Caernarfon Tyres Junior Champs Owen and Isabella Hayes took the U8’s, Connor Roberts and Beth McEachern the U10’s, Eden Potter and Ceri Vaughan the U12s while the U14’s, who started with the seniors at the bottom of the hill and beating most of them to their turn round at the summit were led home by the Bay’s Michael Roberts ahead of Menai’s Sion Jones and the Bay’s Matthew Vaughan. Thanks was given to Llandudno Ski Centre for the venue and the provision of food and £30 was donated to the North Wales Chrysalis Trust. Next Mid-Week Series race: Tuesday 4th June, 3 Hills, Craiglwyd Kennels, Penmaenmawr, 7.15pm start, register early please. 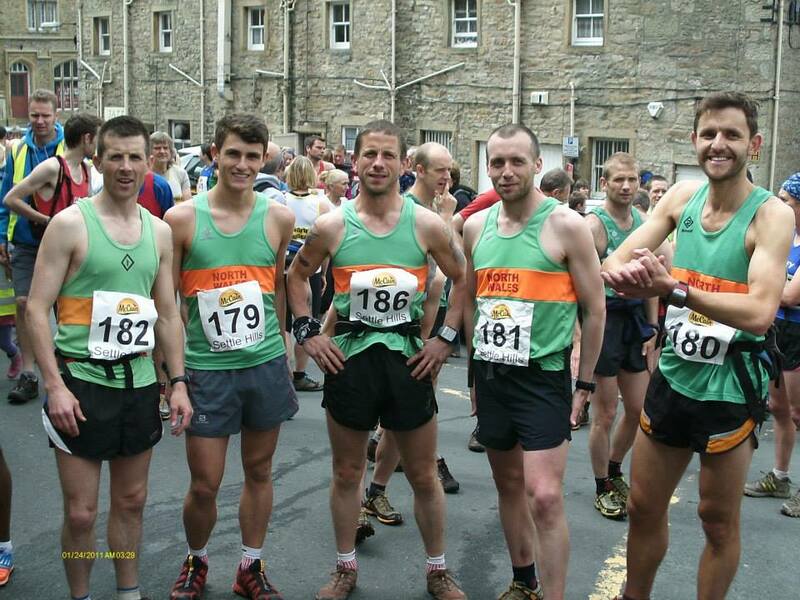 A bumper 182 runners competed in the classic Ras y Gader scaling the heights of Dolgellau’s mighty peak Cadair Idris. It was an incredibly popular win by local Brithdir man – Ifs Richards taking the win in 1.31.02. Ifs managed to overtake Eryri’s Martin Cliffe in the final stages – this after leading Martin by 5 minutes at the summit. Martin finished 12 seconds behind Ifs to still take a successful 2nd position and 1st vet 40 on the day. Chris Near and Dylan Jones were the next Eryri finishers in 7th and 9th – 3rd and 4th vet 40’s. Adrian Williams continued his comeback from injury, running well to finish in 21st in 1.43, seconds ahead of 3rd lady and first Eryri lady on the day Jackie Lee who finished in 1.44.03. There was another cracking run from Martin Cliffe’s partner – Jo Moore, finishing 1st lady vet 40 in 91st in 2.03. 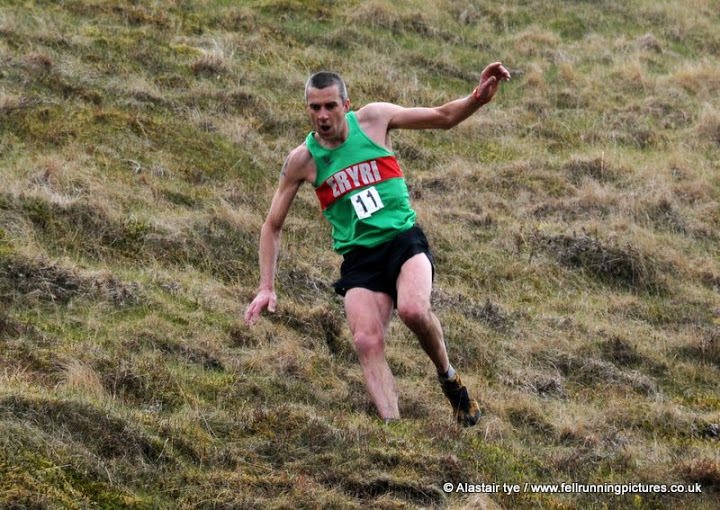 It was a successful trip up to Settle for the running of the British Inter Region fell running championships on Sunday for North Wales and Eryri. 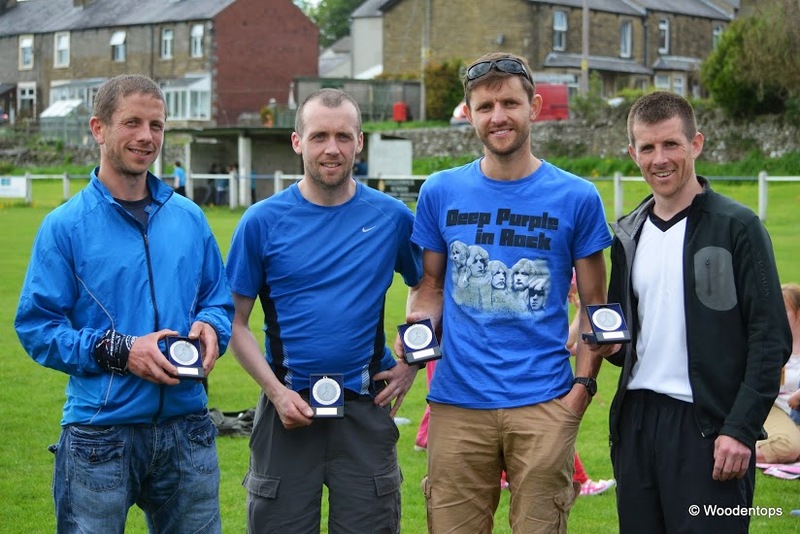 In the 7 mile race, won by Ethiopian Wegen Tafese, the North Wales team won the silver medal, finishing a mere point behind hosts and regular winners Yorkshire. 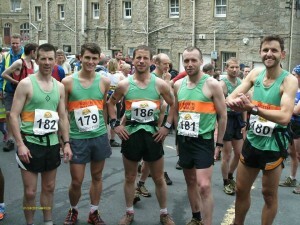 The North Wales team were led home by 3 time Wyddfa race winner – Tim Davies who finished in 5th in 48.59. Eryri’s Math and Rich Roberts soon followed in 10th and 11th place – a slight 5 seconds separating the pair who raced each other along the whole route, whilst new Eryri club mate Nathan Jones finished in 45th in 54.35 with Minffordd’s Glyn Griffin – running his debut for North Wales finishing just behind Nathan in 55 minutes. In the juniors there was success for Bronwen Jenkinson, Bronwen ran superbly to take bronze in the girls under 16’s while Mabon Llyr finished a respectable 12th in the boys under 18’s. Other Eryri finishers on the day included Leeds based Fred Maier finishing in 63rd with Arwel Lewis next in 75th and 3rd vet 50 and Paul Jenks in 80th. It’s the third visit to the Great Orme for the 7th leg of the Midweek Series. Runners attending should park at the Ski Slope Carpark, accessed through Happy Valley (turn left opposite the Grand Hotel). Free food after the race courtesy of the ski centre. Need a couple of extra marshals if anyone is spare (you can drive very close to most parts of the course). “The Yetholm Hill Race is a 12.8km/750m rollercoaster over six hills surrounding the Halter Burn, held annually by Norham RC as a fundraiser for the Border Search & Rescue Unit. 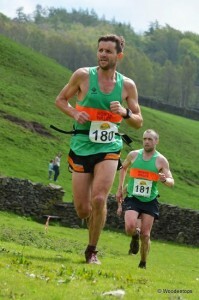 The 2013 race is also a counter for the British Fellrunning Championships. The Route: Starting at Halterburn car park 140m, it takes in Staerough Hill 337m, drop to 220m, Sunnyside Hill 327m, Wildgoose Hill 336m, Latchly Hill 403m, steep descent to sheepfold 290m, The Curr 564m, col at 484, Black Hag (app 520 not summit), return via Pennine Way high level route down Steer Rig, col at 350m, over Whitelaw 420m,cross stile at Whitelaw Nick still following the Pennine Way to descend to the finish. Registration, refreshments and prizegiving: in the Wauchope Hall, Town Yetholm opposite the junction to Kirk Yetholm, approx 1.5 miles from the race start at Halterburn. Toilets in Town Yetholm, the Wauchope Hall and at the start/finish area. Please note: No entry money refunded, non runners fee will be donated to the Border Search & Rescue Unit. I did the Sandstone Trail Challenge on saturday, a LDWA event with a runners class – more like an unofficial ultra, 33 miles from Whitchurch to Frodsham along the length of the trail. Conditions were just about perfect with low temperatures and the odd shower during the day. There was a field of approx 100 runners starting out along the trail with a large contingent of Delamere Spartans running. The first over the line was David Douglas in a time of 4:51. I finished in a more modest time of 7:50 for 87th position which was exactly 30 minutes quicker than my time from last year! A good, low key event for cutting your teeth on Ultra distances.